At my clinic I’ve helped patients with a wide range of health problems – and we’re not just talking about those conditions related to back and neck pain. Like you, I’ve seen the adverts for chiropractors in Canberra – they often involve an image of someone, obviously in pain, entering a chiropractic clinic bent over and clutching their lower back. But in reality, the care that I provide is about so much more. For instance, did you know it may help with metabolic difficulties, stress-related problems, the consequences of difficult births, and may even help to prevent health problems from developing in the first place? Every function in our body, including our digestion, relies on our central nervous system (i.e., the brain and spinal cord). So if the nervous system isn’t working properly, then our digestion may be impaired. 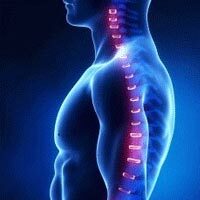 Chiropractic care helps maintain the proper functioning of the nervous system. The stressors of every day life can result in physical problems that a chiropractor can help with. Headaches, for instance, can be caused by tension in the musculoskeletal system induced by stress. This physical pain can then become another source of stress in our lives. So if this pain is relieved through chiropractic care, then one source of stress has been lessened. Being born – whether naturally, by forceps delivery or a C-section – may alter a baby’s spinal column. This means the newborn starts out with his or her vertebral segments out of alignment which in turn puts pressure on the nervous system. This may result in the child’s body being unable to function optimally. Only when the central nervous system is working properly can optimum communication between the body’s organs, cells, tissues and the brain take place. Regular chiropractic care helps to ensure the nervous system is working properly which may prevent disease from developing. Having read about some of the possible health benefits of chiropractic care, are you interested in having your spine checked to ensure it’s in full working order? If so, I offer experienced care in my chiropractic Canberra clinic and would be happy to hear from you.